If ever there was a name that’s synonymous to the sports optics game, with products from the lower, entry level, to the highest end, it would be Bushnell. They have everything from monoculars to rangefinders, rifle scopes, and some really excellent binoculars. What we have for our review today is one of their best night time monoculars, the Bushnell Night Watch. It’s the predecessor to the highly regarded Equinox Z. Even though it’s not the “latest and greatest”, it’s still a great piece of optics that will appeal to many. Before we get into the details, we should mention one thing. The Night Watch comes in two configurations. You can get it either with a 2 times magnification and a 24mm objective lens diameter or with a 4 times magnification and a 50mm objective lens. The smaller option has 5-400 feet viewing range, and a 105-foot field of view at 1000 yards. The larger one, on the other hand, has 5-700 feet viewing range, as well as a field of view of 70 feet at 1000 yards. Aside from these numbers, the size and the weight (10.7oz vs 18oz) are also different. Otherwise, the monoculars are more or less identical. Therefore, everything we say below applies to whichever model you choose. What is the Bushnell Night Watch? Even though you might expect higher end optics from a name like Bushnell, at this price, we can’t complain that the Bushnell Night Watch is a Gen 1 device. There are Gen 2 and above devices that will certainly give you a better image than this during the night. However, but they cost a lot more. To the casual user, they’re far from worth it. What helps, however, is the fact that the Night Watch is one of the best Gen 1 devices we’ve ever tested. Gen 1 night vision is commonly associated with issues such as bad low light performance, image fringing, as well as notable sharpness loss near the outer edges of the image. Now, the Night Watch is definitely far from perfect. But we also noticed that these issues are actually barely noticeable. Bushnell did a good job on the optics selection and how they put it together. The built-in IR illuminator certainly makes the image a lot brighter. It is also somewhat usable even in pitch black scenarios. You might not get the sharpness of a Gen 3 device, but it’s still good. On the outside, the Night Watch is made as you’d expect from a Bushnell product. It’s rugged and has a rubberized grip surface that makes sure it won’t slip out of your hands, even when it’s wet. The larger variant is slightly front-heavy, due to the huge glass. Fortunately, that’s not too much of an issue with the grip. If you’d rather use it without moving too much, you’ll like the tripod mount at the bottom. You’ll find that the buttons are very easy to reach as well. This is very convenient, as you don’t want to be looking for them in the dark. Now, the Night Watch is somewhat water resistant, but there is no mention of an IP rating. We would advise that you don’t use it if you get caught out in the rain. How does the Night Watch perform? 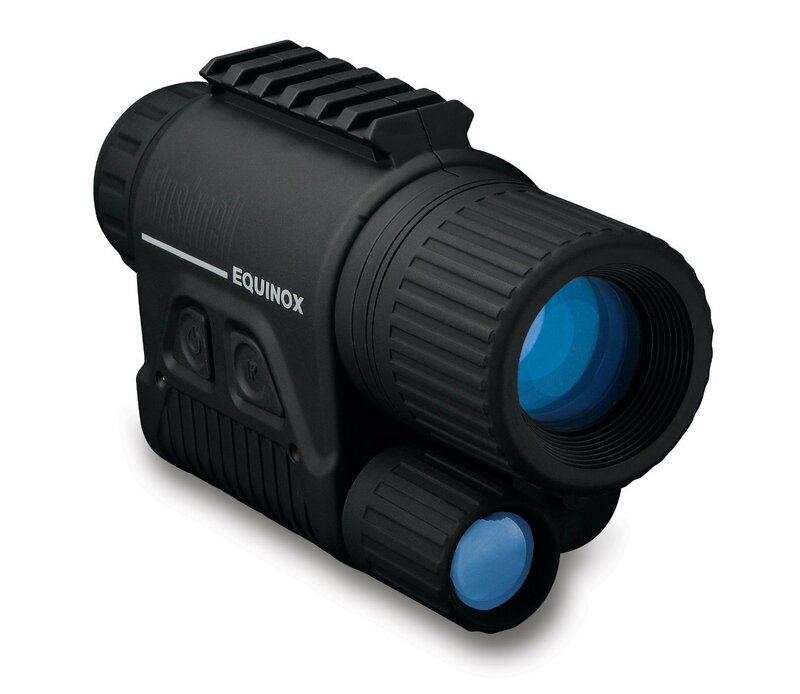 With a night vision device of this caliber, you don’t want to be looking for game that’s too far away. You also don’t want to be hunting in pitch black with zero natural light. However, if it’s dusk or dawn, or you have the moon shining bright, this is an excellent performer. Both variants of the Night Watch performed great when there was some natural light. The IR illuminator works great, and you can have an object illuminated as soon as you press the button. The image quality you get is better than what you would expect from a Gen 1 device, as we mentioned. What about usability? Well, sure enough, there’s quite a difference between the two models in that regard. Fortunately, both were fairly lightweight in their respective categories and very comfortable to use. The buttons are placed in an easy-to-reach place, and the front-heavy balance of the bigger brother wasn’t much of an issue. The grip is excellent. The ribbed, rubberized surface allowed us to hold the monoculars even when our hands were wet. Is the Bushnell Night Watch good for everyone? To be honest, no, it is not. It’s far from perfect. For starters, if you’re usually hunting during the night, you’ll want something that performs a bit better. 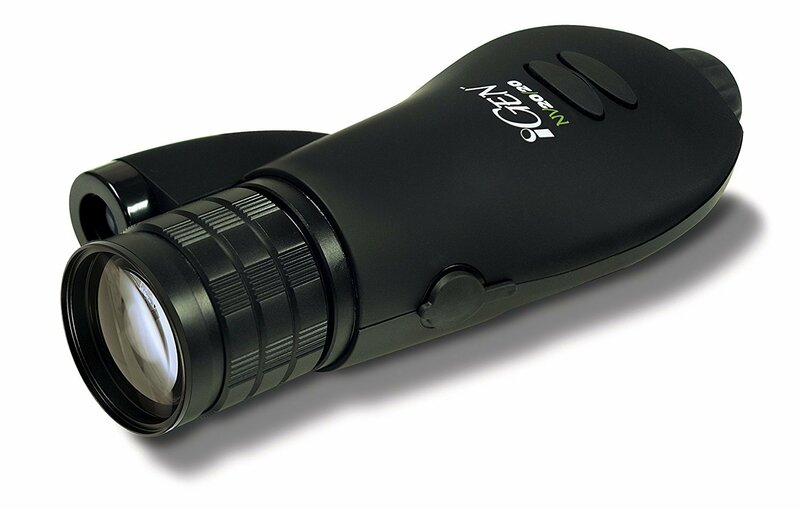 You may also want something that doesn’t require IR illumination, such as a high-end Gen 2 or Gen 3 device. Yes, this will cost quite a bit, but if you need it, you’ll justify it. There’s also the issue of no IP rating – you’re much more likely to get caught out in the rain at night, and you will want to protect your investment. However, this is far from us bashing the Night Watch. Bushnell is known for quality products, and if you’re the right audience, this is no exception. The Night Watch is made for people who hunt during the day, but sometimes go out early, and sometimes stay a bit later. In those situations, it performs at its best. It’s also priced at a somewhat entry-level product, which is where those people usually are in the budget range. All things considered, the Bushnell Night Watch won’t be winning any awards. It’s already been replaced by the Equinox Z (which is more expensive), and there are higher end devices out there. 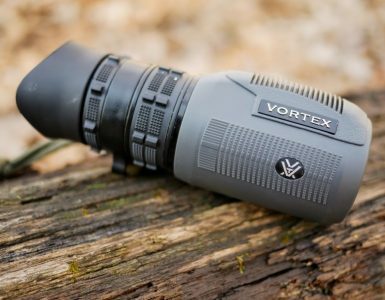 However, if you’re looking for a good entry-level night vision monocular, one that comes from a reputable brand and has all the quality you’re expecting from that brand, you can’t go wrong with the Night Watch – it’s simply an excellent monocular.